I've been feeling like writing up some study posts on my blog since it is a huge part of my life right now, so I felt like kicking it off with a Q&A, so you can get to know me, my subjects I study and my studying techniques a little better! I asked on Twitter and Instagram for some specific questions which I have answered along with some more general, frequently asked questions about what I study. 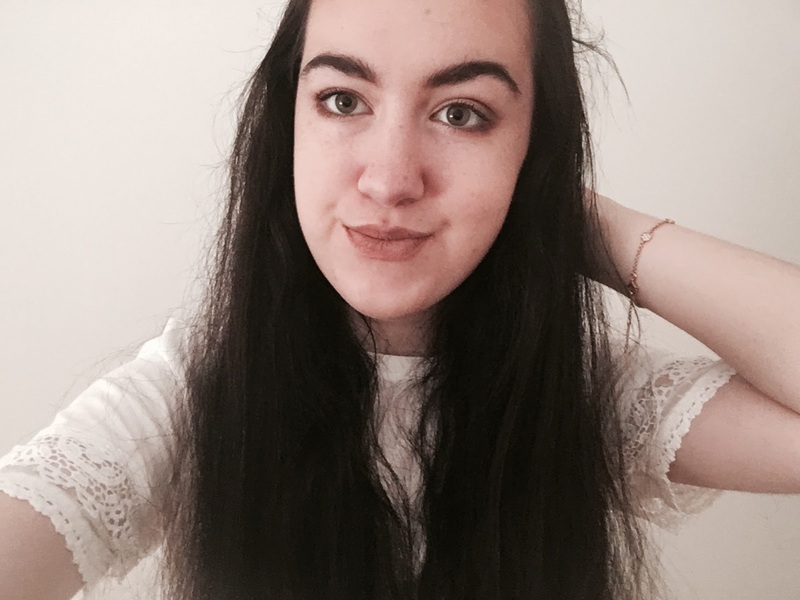 I've also been totally a little inspired by Soph's recent post here which you must check out! I'm currently in Year 13 at college, studying for my final year of A - Levels. I did the compulsory subjects at our school which were English Language, English Lit, Maths and RE. I also took all three sciences, Chemistry, Physics and Biology, then my option subjects of History, French and Art. What are you taking for your A - Levels? Did you stay at your high school for sixth form or move elsewhere? My high school was pretty small so it didn't have its own sixth form, therefore I was forced to move elsewhere! I will always wish I could have stayed there, because my high school is 5 minutes away from me, compared to either of the local sixth forms, of which my journey time is about an hour. I found it really difficult adjusting to a different place. How do you find taking 4 A-Levels, and why you do it? I take 4 A-Levels because art is a hobby of mine, which I knew I wouldn't make time for without having deadlines and I wanted to learn how to better my skills too. I'm not particularly pressured about what grade I get in it as long as I enjoy doing it. Since I'm not used to doing 3 A-Levels, I don't find it overly difficult, I find it normal, but I can see how people would think it is a lot of work - it does take a lot of time-management! How have you found each subject so far? ENGLISH LITERATURE: English I found to be the smallest jump from GCSE to A-Level, I know I've seen a lot of different views across the internet, but since it happens to be the same exam board as GCSE, it totally feels like a continuation of the same, except a whole bunch of more books and critical views for each one. I don't mind it as a subject, I've never really settled into my classes either year but the books are alright, I really liked Streetcar in particular. MODERN HISTORY: My one true love... I say that even though the coursework is the absolute bane of my life right now - endless reading feels a little overwhelming! There was definitely a jump in terms of both content, which is so much more in-depth, and the essay writing skills, which was something that took a while to get to grips with. Our papers are on the British Empire and the Cold War, weirdly I prefer Cold War but find Empire easier. FRENCH: French has been such a rollercoaster of a subject. It began on such a high, this time last year I absolutely raved about how much I loved French, then I did the exchange, was traumatised, got into a funk that even though I have recovered from, I just don't have the love for it I once did. I actually prefer learning grammar as I like learning the tools to be able to speak and write French, rather than the topic work that I often find a bit dull - though I am looking forward to learning about France in WW2 very soon. FINE ART: The workload might be heavy, but I truly do love art. I have a double art lesson on a Wednesday which might not seem the most appealing but it is the perfect chance for me to get loads of work done. Last year my subjects weren't the most interesting so it felt a little more of a chore, but this year I am back to doing portraiture and it is so much fun, I really do enjoy it - it's an extra subject for me so if I didn't like it, it wouldn't be worth carrying on! How did you find the jump from GCSE to A-Level? It really depended on the subject. English Lit for example, I don't find the jump horrendous at all because I felt comfortable in my essay writing technique since about the end of year 11, but due to learning almost no French at high school (how I got through that GCSE is a wonder), I definitely felt out of my depth there. History is a jump in terms of the depth of the content, and art is a jump in terms of the workload - it went from producing four pages of work every month (or even less) to every week, which sounds a lot but was easily settled into. Do you listen to music when studying? My honest answer is yes and no! I love listening to music when studying but sometimes feel a little distracted by it so I won't. Having a record player has been so helpful for this because I much prefer listening to music out loud rather than in my earphones when studying, it's so less distracting, while my record player is at the other side of the room so I can't mess around changing tracks like I would with music on my phone. I also love to have a couple of albums that help me to really get into the studying zone - my go-tos are Coldplay's A Rush Of Blood To The Head and Ed Sheeran's +. 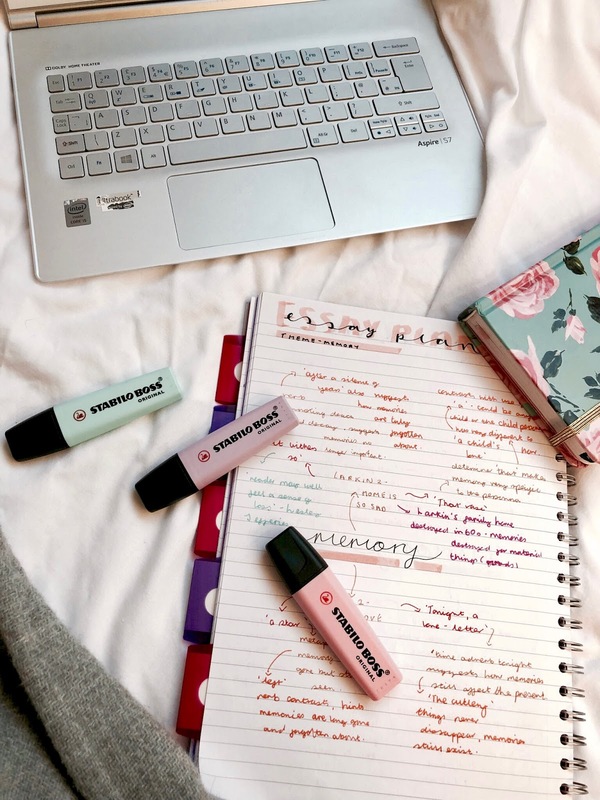 What is your favourite A-Level to revise? History, absolutely! It was by far my favourite to revise for GCSE - it didn't feel like a chore at all, and I find it easiest to revise because there's a lot of set facts, whereas English can feel a little overwhelming with an endless amount of themes, and French has unlimited vocab! 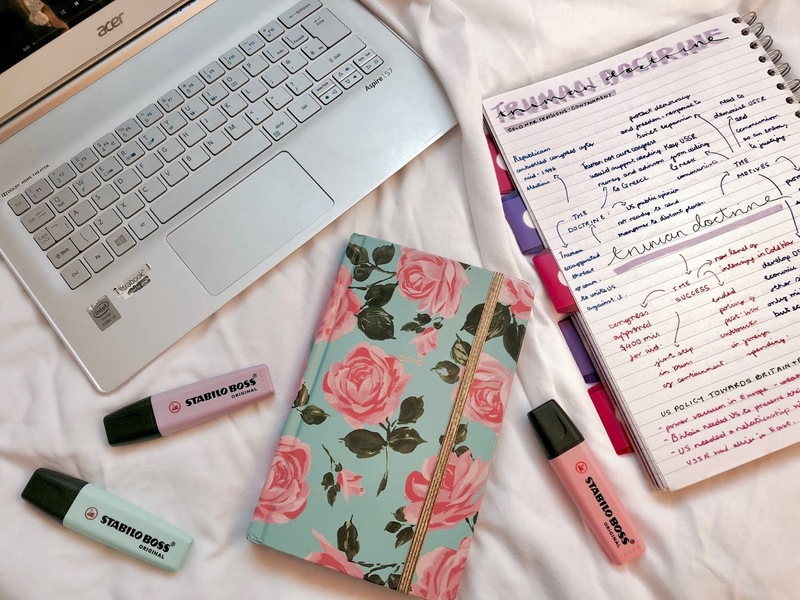 When you revise, do you stick to a timetable strictly or do you revise whatever you are in the mood for? I have actually created a timetable for myself this year, dictating which topic I will revise each half term for English and History, and what I plan to do each day of the week for French. I'm hoping I will be motivated to stick to it! I find a timetable so useful because you can actually visualise how much work you have to do, making it much less overwhelming. What are you planning on studying at Uni, and where have you applied for? I am planning on studying History at A-Level! The five unis I have applied to are Oxford, Warwick, Nottingham, UCL and York. Only time will tell as to which I will go to - I know which ones my favourites are, but I specifically wrote my list there in no order so you can't guess! 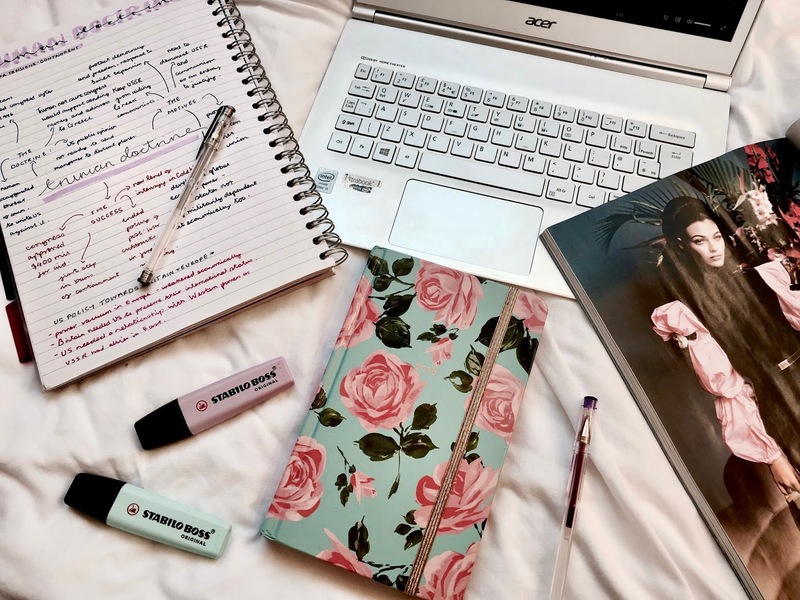 I would love you to share your experience and your best studying tips in the comments! Your notes are so beautiful! 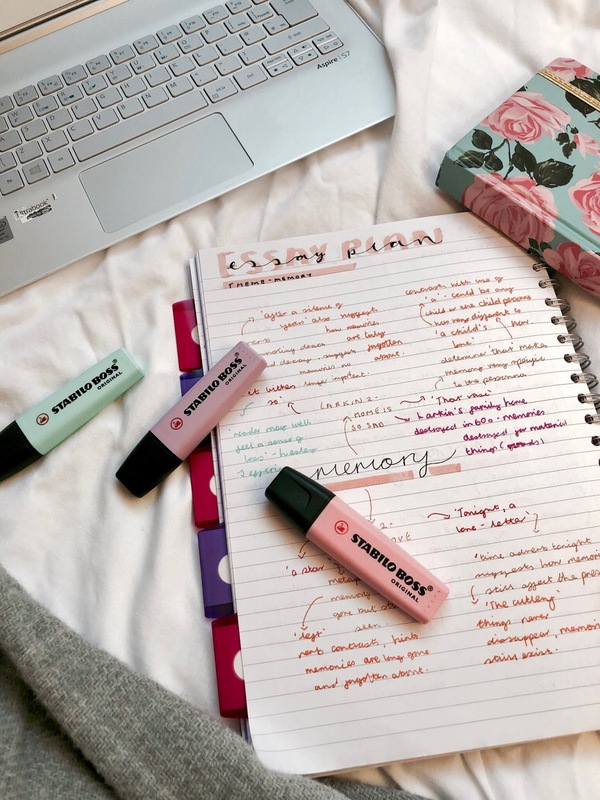 I am studying all the time right now for uni, and you have me wanting those pastel highlighters!